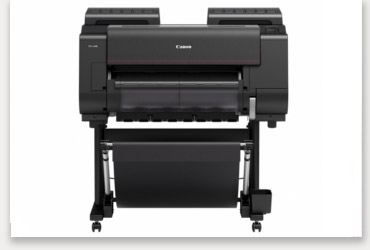 Check out the latest models and start your printing journey, today! 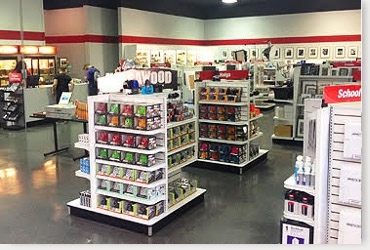 Visit our Retail Store in Hollywood! A photographic legacy for over 70 years! Visit our world famous retail store and inkjet paper gallery featuring over 100 prints. We have a wider variety of film in one place than any other store on Earth! Your Rollei headquarters in the USA! 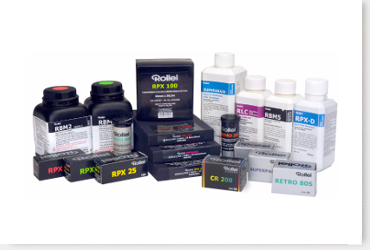 Long famous for its top-of-the-line, medium format cameras, Rollei offers that same superb quality in black and white film, developers, and liquid emulsion. The classic, plastic camera makes a triumphant return! Be one of the first to try the NEW Holga 120N. The BEST Safelight.... for everything! The LegacyPro Safelight is the ONLY safelight with a dimmer. Dial down for sensitive materials and dial up for maximum brightness! Ilford Photo has re-established its primary position in the global photographic market and has led the worldwide resurgence of black-and-white photography. It is now the only manufacturer that provides a full range of film, paper and photo chemicals. Check out our selection. This legendary black and white reversal film, originally coming from AGFA, is now back in a new version from Adox. Compared to its AGFA Original this film has 160 ISO and very fine grain. The most ECO-friendly way to process! LegacyPro EcoPro chemicals are kind to the environment AND on your wallet.